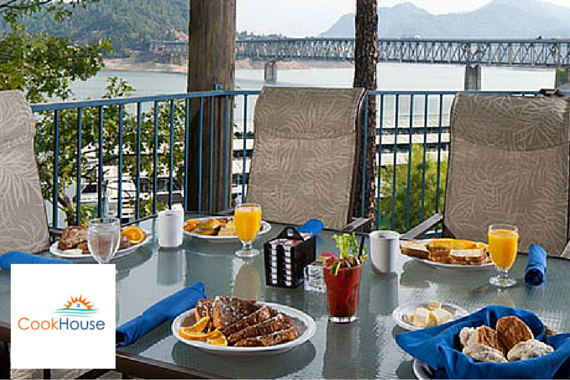 A memorable dining experience nestled in the scenic hills and on the waterfront of Lake Shasta. "Whatever the occasion is, we'll make sure it's an unforgettable one." "Bring in the family to enjoy our delicious Easter Brunch, which will be served from 8 AM to 3 PM." "Together forever has to start somewhere." "We'd love to welcome you here. Come and see us today." "There's just something more special about sunsets in California." Yes, I'd like to receive news from CookHouse. Sign up for the CookHouse Newsletter!